Based in Pennsylvania, I have the awesome opportunity to work with policymakers and partners across the Northeast on student-centered policies. I am a former legislative and agency staffer who believes education policy is the most important matter in which we can find ourselves engaged. The resources included here are just a fraction of what inspires me to do this work! Every child should have the opportunity to find the right educational experience, and this panel discussion reaffirmed that belief for me. This inspires me to not only focus on policies that provide kids with these opportunities, but also those that will ensure all schools are providing every student with access to an excellent education. Pennsylvania’s Educational Improvement Tax Credit (EITC) program provides tax credit-funded scholarships to kids who desire educational options. In existence since 2001, the EITC now serves over 30,000 students annually. This year, the program saw an increase of $25 million in the state budget and we estimate nearly 15,000 more kids will receive the opportunity to attend the school of their choice. I am excited to see more states tackling college and career pathways policies so that students are better prepared for higher education or the workplace. Our partners at the Massachusetts Business Alliance for Education are launching their Credentials for Success initiative with the goal of incentivizing schools to provide kids with the opportunity to receive industry-recognized credentials and set them on a path towards success. With a focus on increasing career readiness in so many states, I have been reading and promoting our new Career and Technical Education (CTE) playbooks. College and career pathways policies open up doors for students. We know that that kids who have access to advanced coursework and the opportunity to earn industry-recognized credentials are more likely to succeed in the workplace or in higher education, and our economy will be even stronger as students are better prepared to meet the needs of industry. Check out the first two playbooks, and stay tuned for new releases in the series! Ashley is the Northeast Regional Advocacy Director for the Foundation for Excellence in Education (ExcelinEd). In this role, she works with leaders and policymakers from thirteen states to promote student-centered policies in the areas of accountability, educational options and innovation. Before joining ExcelinEd, Ashley led StudentsFirst in PA, a statewide education advocacy group focused on teacher effectiveness and accountability policies. Prior to her leadership at StudentsFirst, Ashley served as Director of Government Relations for the Pennsylvania Department of Education, where she led legislative negotiations on education issues with the General Assembly. Preceding that appointment, she was a Policy Analyst for the Pennsylvania House of Representatives on the Education Committee. 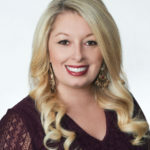 Ashley earned her Bachelor’s degree in Politics/American History from Juniata College and her Master of Education in School Counseling from Millersville University. She resides near the capital of Harrisburg, Pennsylvania. Ashley’s portfolio of states includes: Connecticut, Delaware, Maine, Maryland, Massachusetts, New Hampshire, New Jersey, New York, Pennsylvania, Rhode Island, Vermont, Virginia, and West Virginia.